Bonnie Schechter stood in front of a whiteboard that was divided into four sections and asked 25 people sitting around a conference table to help her fill in the empty spaces. They shouted out answers to four distinct categories of questions, which ranged from TV and movie trivia to arguments over women’s access to the Western Wall in Jerusalem to complaining about mothers-in-law. It was an exercise in remembrance for people with failing memories who attend the Jonathan and Nancy Littman Memory Center at the JCC MetroWest, which is endowed by the Los Angeles television executive and his wife, both formerly of West Orange. 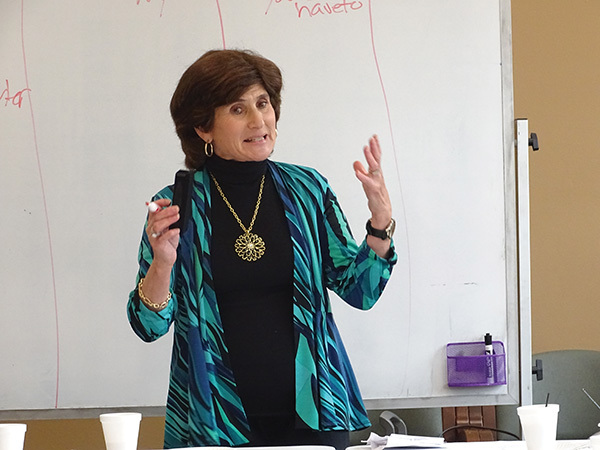 Schechter, a member of the National Council of Certified Dementia Practitioners, serves as program director. Because of the demand to join the program, the center is about to set up a waiting list, as the adults who attend one to three six-hour sessions each week are already outgrowing their crowded conference room on the JCC’s second floor. The Littmans had initially donated $100,000 in seed money. Because of its popularity, they pledged another $300,000 to continue the program for another three years. The Healthcare Foundation of New Jersey has also granted the Memory Center up to $168,744 for the JCC MetroWest to expand the space, on top of the $50,000 it allocated when the program began. Marsha Atkind, the Healthcare Foundation’s executive director, said the grant was necessary to help the aging population of Baby Boomers who suffer from mild-to-moderate dementia. 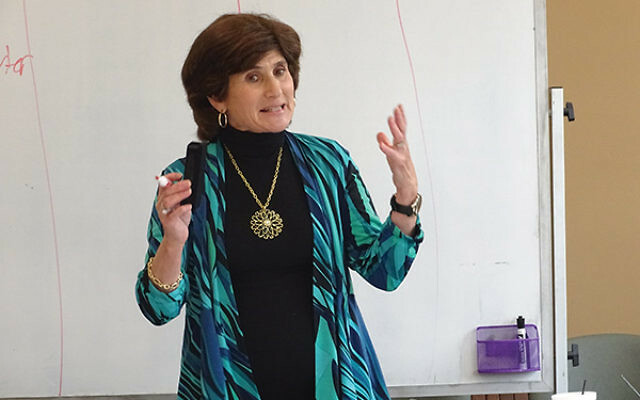 Schechter’s engaging and humorous style is making a strong impact on participants’ lives, according to Sharon Gordon, director of JCC MetroWest’s Center for Adult Enrichment. The extra time has enabled some of those caregivers to return to work — at least part-time — after they were forced to leave jobs to help memory-impaired loved ones. Participants — Jewish and non-Jewish alike — are charged $70 for each six-hour session. Funds provided by the Littmans will endow scholarships for those who cannot afford the fee. When the center opened in September 2016, Jonathan Littman wrote to NJJN in an email that his father, who still lives in New Jersey and occasionally participates in the program, suffers from dementia. And he credits the program with aiding his memory.